Mantic are back with another release but this time it isn’t a new team for Dreadball! 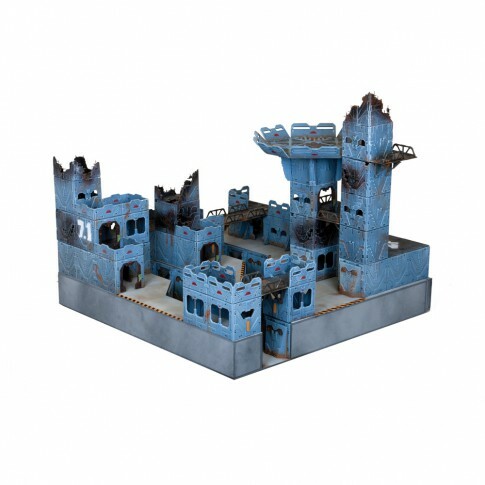 They are instead launching their new futuristic scenery range: Battlezones which they are saying will allow you to easily build a truly 3D gaming space at a genuinely affordable price. If this is the case then I am very interested as the first pictures suggest that these kits could be great for a lot of games. From what Mantic have said so far Battlezones will be marketed as high quality plastic kits that will be modular so can be built and put together in a virtually infinite number of ways. 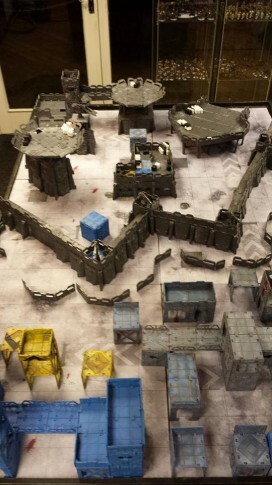 Looking at these initial pictures, it looks like the range will be suitable not only to add cover to a large board but also to create some interesting looking claustrophobic close quarter battlefields ideal for skirmish games. We will keep an eye open for any more news on this, and their timing couldn’t be better with Salute 2014 just around the corner. I am looking forward to seeing the finished product, and needless to say I will paying Mantic a visit on the day to see what they are showcasing. Nice to see them expanding the offering of what started with Deadzone. It’s a nice terrain system but the clips you use can be a bit flimsy, especially on corners. I’ve had a couple of breakages of my Deadzone stuff even when there’s next to no pressure on them that I’ve been able to determine. Provides a genuine alternative to the GW plastics which, although very good, have suffered from price creep over the past few years.